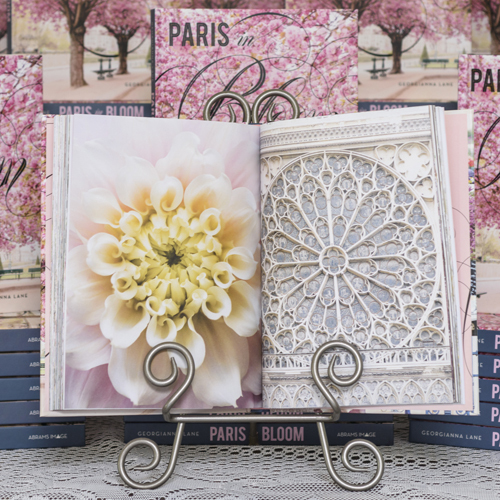 Paris in Bloom is a wonderful book that brings to life the floral splendour of Paris. Georgianna Lane has produced a unique insight in words and pictures of a city we all love. I fully agree with Audrey Hepburn when she says: "Paris is always a good idea". 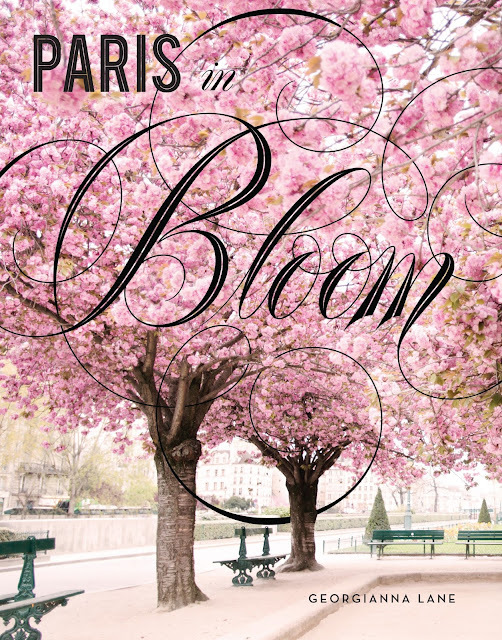 Georgianna takes us on a floral trip around Paris and shows us some of the many parks and public gardens. In springtime she has captured the bright yellow daffodils, the colourful tulips and the flowering cherry trees. During the summer months at the Musée Rodin, the sculpture of The Thinker is surrounded by topiary and a beautiful rose garden. We are taken for strolls along the paths in Palais-Royal, Georgianna's favourite location in Paris, and the Jardin des Tuileries, a close second. Her descriptions of the Parisian flower shops are delightful. Many with charming interiors, flowers displayed by colour, vintage props and even some rose petals strewn on the ground welcoming you to make your custom selection of a bouquet of flowers. 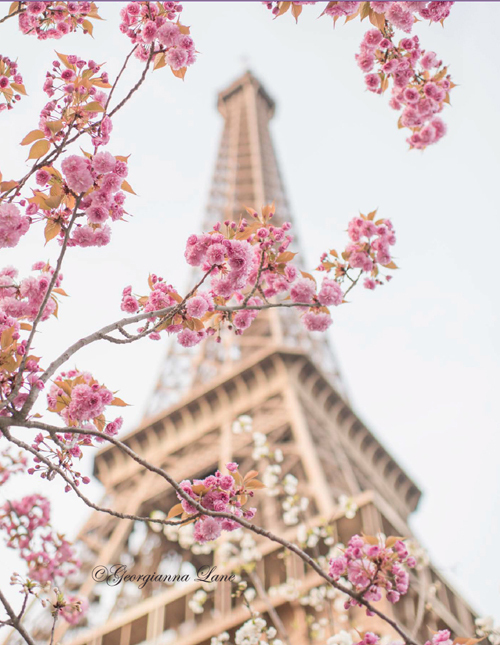 Paris is also famous for its street markets offering seasonal plants and flowers. Markets like Marché aux Fleurs has for many years been a destination for anyone in need for some floral beauty. 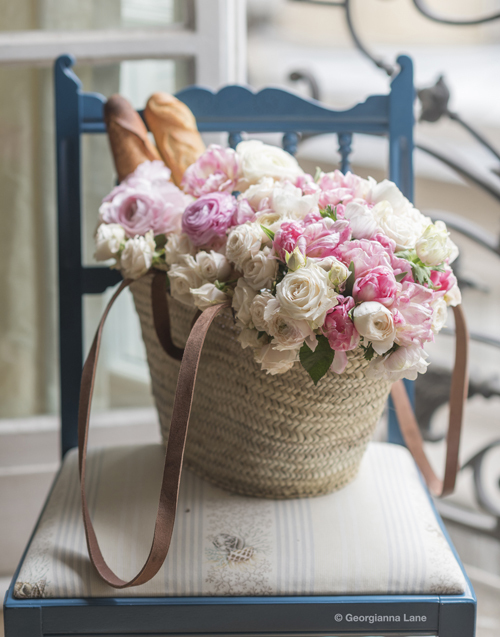 Floral displays are everywhere in Paris; hotel lobbies, balconies, window boxes as well as on many café tables. Georgianna has also captured some of the easy to miss floral decorations around Paris. The rose window at Cathédrale Notre-Dame, ornate floral door details, iron railings and gates - it is easy to understand why she calls Paris the "City of Flowers". 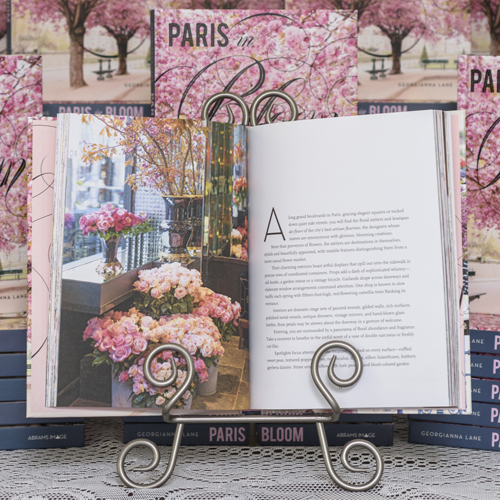 The book is divided into four main chapters: Parks and Gardens, Floral Boutiques, Market Flowers and Floral Displays. There are also some very useful pages at the back of the book with local resources, a field guide to common spring flowering trees and shrubs, and a spring tour of blossoms and blooms listing many of Georgianna's favourite locations. 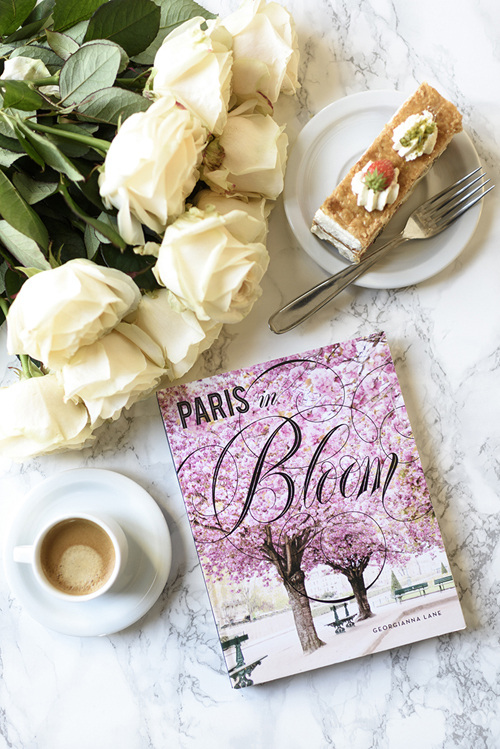 Whether you have been in Paris many times or you are a first time visitor these carefully curated images are timeless and flow seamlessly throughout the book. 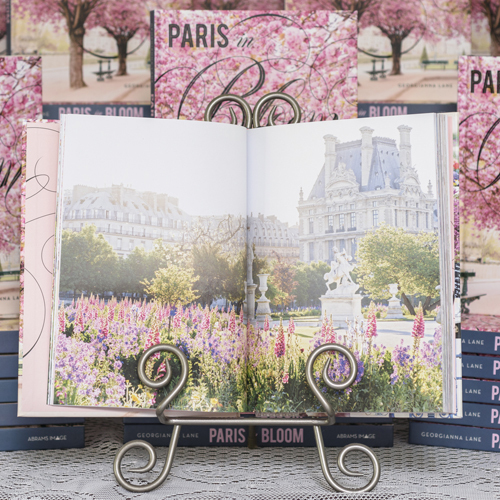 Georgianna says: "Thus, this book is my love letter to the French capital, an unapologetically romantic celebration of her abundant floral charm." Georgianna Lane is a Seattle-based floral and travel photographer whose work has been published in books, magazines, calendars and greeting cards. 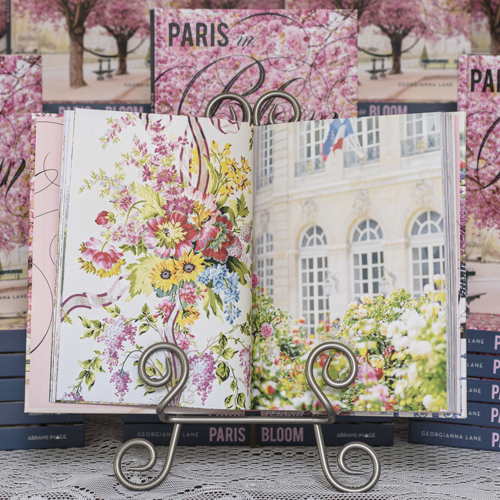 Paris in Bloom by Georgianna Lane is published by Abrams Image (£12.99 hardback) and is available from Amazon and all good bookshops from 14th March. 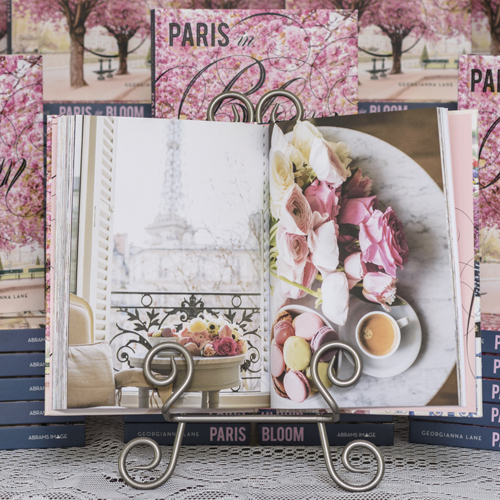 Preorder Paris in Bloom before March 14th and you will receive an autographed print from Georgianna. You can find out more here. Many thanks to Georgianna Lane and Jessica Chambers at Abrams Image for the review copy. All images by Georgianna Lane. Thank you for visiting 'Of Spring and Summer - I will be back later in the week with some more floral delights. This book looks very charming...as Paris in bloom must be. Très bel ouvrage ! Je suis sous le charme.